Al Molinaro as Al Delvecchio in "Happy Days"
He may have been best known as the owner of Arnold’s in Milwaukee in the 1950s, the backdrop for the comedy “Happy Days” or as Murray, the New York city policeman with the big nose in “The Odd Couple”. Al Molinaro made a name for himself as comic relief, and a great supporting actor, in the 1970s and 1980s. Recently, I heard he had died at the age of 96. Al Molinaro was close to 50 when he started acting, after becoming financially secure in the real estate market. He got into acting, appearing in various sitcoms while continue to study. He took an improvisation class, according to Wikipedia, where he met Penny Marshall. She introduced him to her brother Garry Marshall, a TV producer, beginning a long and fruitful relationship. Murray Greshler in "The Odd Couple"
Marshall offered Molinaro the part of Murray Greshler, a New York City policeman, in a show called “The Odd Couple”. It starred Tony Randall and Jack Klugman as mismatched roommates, both recovering from divorces. Klugman’s Oscar Madison was a slob, while Randall’s Felix Unger was a neat freak. Their apartment was visited by a colourful cast of friends and family, including Murray. He was the straight man for a lot of jokes, and there is one that sticks out in my mind. Oscar and Felix had barricaded themselves in their apartment, hiding from something. Suddenly there was a knock on the door. They did not want to answer. They were too scared. Then the little door on the front door flung open and through it appeared – a nose. There was only one nose like it. So they let Murray in. 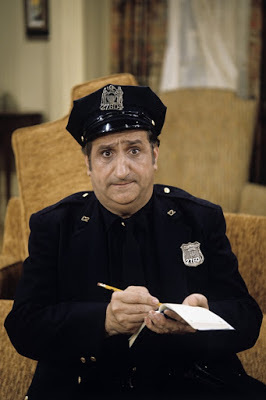 Al Molinaro could be the straight man, and enjoy not taking himself too seriously. “The Odd Couple” ran from 1970 to 1975, but in the early 1980s I used to watch reruns in the daytime, when I was home from school. The following year, 1976, Marshall cast Molinaro as Al Delvecchio, the new owner of Arnold’s, the local hangout. He replaced Noriyuki “Pat” Morita, who had been playing Arnold, but left for his own short-lived show called, “Mr. T and Tina”. At first, Al was mostly in the background, but over time became more familiar to the audience. He was often comic relief. One running joke was how often he would say, when one of the “Happy Days” gang asked for advice, “Yup, yup, yup, yup, yup, yup…Did I ever tell ya about Rosa Colletti?” It was later often shortened to, “Yup, yup, yup, yup, yup, yup” but we all knew what that meant. Another memory I had was the two-part episode where Arnold’s burns down. Al decides to rebuild, with the financial assistance of The Fonz. When the place is ready to re-open, Al and Fonzie both reveal signs they would like to hang out. Al wants to rename the place, “Big Al’s” while the Fonz wants to call it “Fonzie’s”. In the end, they realize it is not worth fighting, or losing a friendship over, and keep the name Arnold’s. Al Molinaro stayed on “Happy Days” for six years, until 1982, when finally he could forget all about Rosa Colletti. By 1982, the characters of Joanie Cunningham and Chachi Arcola had become so popular, Garry Marshall decided to spin them off into their own show. They move to Chicago to pursue a music career. Chachi moves with his mother Louisa, played by Ellen Travolta, who has married – Al Delvecchio. Al’s character continues to evolve as he becomes more of a father to Chachi, and a husband to Louisa. He also opens a restaurant that Joanie, Chachi and their band perform in. The show lasted two seasons, and a total of 17 episodes, from 1982 to 1983. Joanie and Chachi would go back to “Happy Days” to close out its run. Al Molinaro would not, as Noriyuki “Pat” Morita returned as Arnold to take over his drive-in. Interestingly, Al Molinaro reprised the character of Al Delvecchio one more time, in the video for Weezer’s song, “Buddy Holly”, which is set in Arnold’s. Beyond that, he appeared in the odd TV show and spent one season on the sitcom, “The Family Man” which lasted 22 episodes in 1990-1991, before retiring from acting in the 1990s. 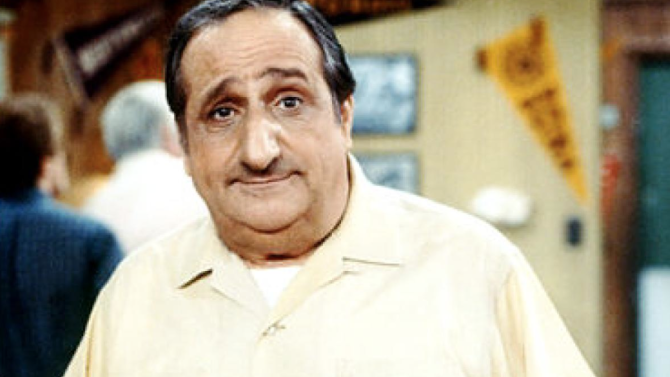 Al Molinaro really is synonymous with the character Al Delvecchio, so much so he played him in three different productions. He was the perfect figure of authority, first as a police officer then as a restaurant owner and step-father. Over time, his character evolved and we saw Al as more than just a joke, but a sensitive man with many layers to his character. It is fitting that his last memorable role was as Al in a music video, because it was the perfect conclusion to a great career that peaked in the 1980s.